I started out taking a few of their Free Craftsy Classes. But they also have reasonably priced classes for every technique imaginable. Want to learn more about Designing Modern Quilts? They have a class for that! Are you a fan of Star quilts? Then this is a class you won't want to miss.... Oh My Stars! Have you always envied a person's ability to choose the perfect quilting color combinations? Color Play for Quilters is the class for you! Best of all......... They are having a Holiday Sale. All their online classes are on sale right now! Are you a bargain hunter like me? Check out the incredible selection of Free Quilting Patterns at Craftsy! You will also be happy to know that Craftsy is often promoting sales on their quality Quilting Supplies. What a fantastic Giveaway Hop! What a week! So many visitors! I was completely blown away by how many entries there were - 436!!! Sending out a great big hug and a THANK YOU! to Michelle of the Quilter's Gallery for organizing this hop. 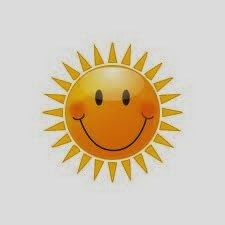 is wonderful and makes me sew happy! I am so looking forward to getting to know you all! Apparently - the winner is................ ME! Okay now........... The winner of the Giveaway draw - chosen by the Rafflecopter - is Connie! Congratulations Connie! Your package will be soon on it's way! I know there are over 200 people who may be disappointed.... But not to worry! giveaway, coming in December. And January. And throughout the New Year! When it comes to the topic of piecing and quilting, you hear a lot about perfectly alined seams, crisp points on blocks, precise 1/4" seams, even stitches on your free motion quilting, blah, blah, blah..... These kinds of things can be intimidating. We are all afraid of judgement. If we can't do it perfectly... then some of us won't even try. And that... is. a. shame. If we are so afraid of failure that we don't try, we miss out on all the wonderful opportunities failure delivers. Failure offers us the chance to learn. To be inspired. To develop skills AND IDEAS. 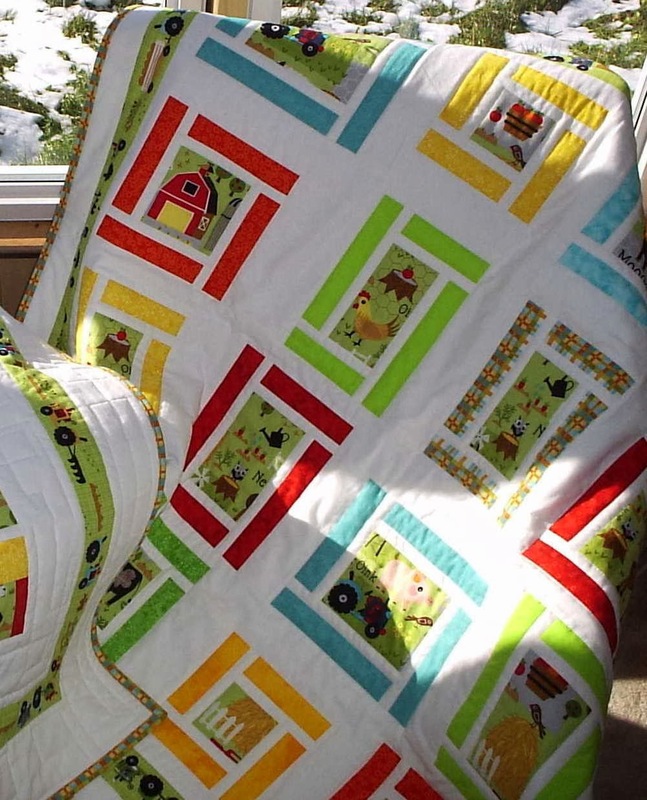 When I made my first quilt for my daughter, I knew there were a lot of imperfections. But I was happy that I finished it. It was admired and appreciated. And I learned so much from the experience. I still don't make perfect quilts. I am a human being and I can accept that I am not perfect. Anything I do will never be perfect (including being a mom). Imperfect quilts can still be beautiful. And keep you warm. And be loved, appreciated and admired by the people who you cover with them. I have also learned that when my nose is 6" away from my mistake, it is very obvious to me that it is a mistake. But when you stand back and look...... it is not quite so obvious. And when you come back a month later, you find yourself searching it out. Where was that mistake now? Hmmmm.... I can't even tell. Funny! Not only do you learn from your mistakes. Others learn too. When we, as quilters are not afraid to make mistakes, and not ashamed to share them, we help others to learn and develop and to be inspired by what we make. Mistakes and ALL! Are a mistake maker who is willing to share your thoughts on perfection? Write a blog post about it and link up! This week's Sewing With Certainty topic is Perfection. Click on the icon below and visit Jessica's Quilty Habit blog to read up on all the topics we are covering and to see what the linkers have to say! Join us! Introducing...... The Kenya Quilt Tree! At the end of October, I shared a post introducing you to the Lala Salama quilts drive. and are seeking help from the quilting community. I signed up for the project and did a fabric pull in anticipation of making a quilt to send. This stack of fabric sat at the end of my desk as I finished up my other works in progress. whispered to me while I worked. I pictured those cool colours, straight and true, swaying in a gentle breeze. Tall and strong. A Tree full of Life. Home to small creatures that rely on the tree for protection and shelter. And then that tree was a top! Backing, batting and quilting.... Were up nest next! I was grateful for the new shiny Superior Fantastico thread from Madame Samm! 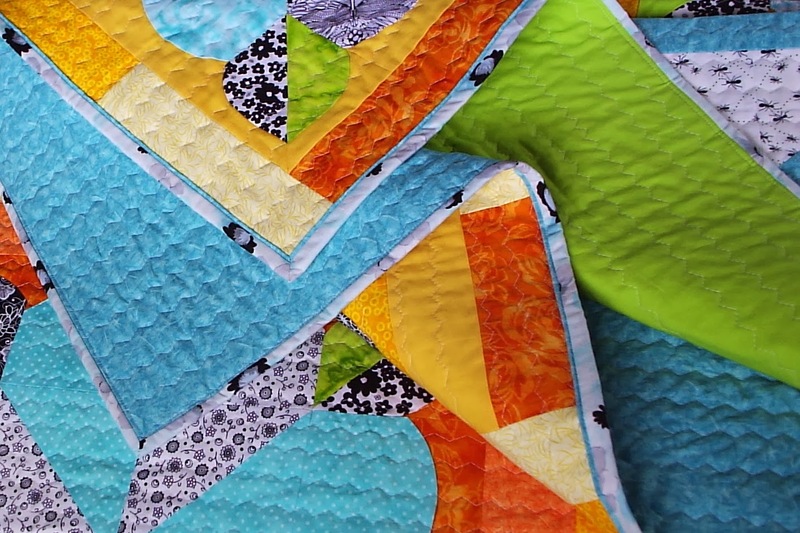 It quilted up sew fantastico-ly! I ended up heading to the Superior site and buying two large cones! I am very excited to share the Lala Salama (Sleep Peacefully) 100 Quilts drive with you! I would be so touched to know that this post has inspired you to donate a quilt for this worthy cause. 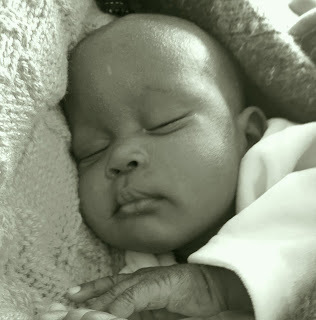 Julie is heading up the project in Kenya and has informed me that, as of today, we are as a team. upwards of 65 quilts promised and at least one is almost on its way there! There are both Canadian and US addresses to which these quilts can be mailed if you are unable to ship all the way to Africa. This hospital will serve vulnerable children all over East Africa with medical and surgical conditions, especially Spina Bifida and birth defects. 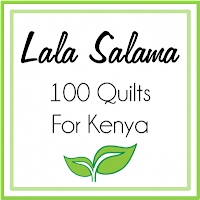 If you feel like you may want to help get the total from 65 promised quilts one quilt closer to the 100 needed, please click on this link to visit the Lala Salma - 100 Quilts Project blog, where you can read up on the details! And if you are so inclined to help, please fill in the form below! And then consider yourself hugged - from me to you! Did you know there are a whole lot of Canadians quilting and blogging in the Great White North? For the second year, the good folks at Sew Sisters Quilt Shop have organized a great way for everyone to be introduced to those clever and talented Canadian quilters. 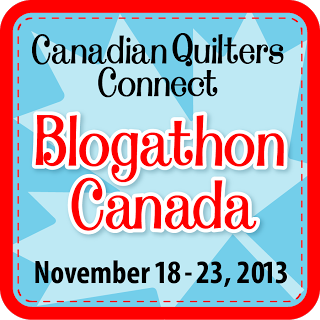 I am proud to be a Canadian Quilting Blogger! I was born, raised and have lived most of my life in Ontario. No, Rob Ford is not my Mayor and I don't live in or near Toronto. But at least an hour west of that. On a nice quiet dirt road. I am addicted to fabric. And I am quilt obsessed. Don't change the locks on my sewing room! I have a penchant for quilt design. Did I mention I like fabric too? I am always looking to be inspired by gifted quilters as I travel along on this, my sewing journey. Then put the kettle on 'cause I'm coming over! I know... I know... REALLY, PLEASE don't hate me! I got lucky and how that has all changed. Apparently.... I REALLY meant it! Because then I won again here. Then I won glorious fabric yet AGAIN here! 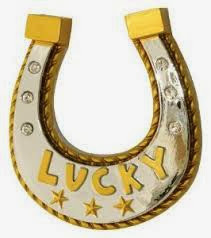 that I am riding on a horseshoe! The world renowned Madame Samm of Sew We Quilt just sent me this generous package! Complete with balloons (not shown)! Madame Samm runs a blog hop blog which features monthly themes that quilting bloggers can join in on! I joined them in my first hop when the For the Boys blog hop was featured and made a wolf quilt and pillow cases for my son, Russell. This wonderful bundle of 17 Spiderman fabrics was sponsored by Camelot Fabrics. Camelot Fabrics are now proudly listed on my sidebar! And I am SEW EXCITED to be ringing in the New Year with that one! But please don't yank on my horseshoe!!! *Giveaway* Day - a Blog Hop Party! Who wouldn't want to win a little Sunnyside by Kate Spain? 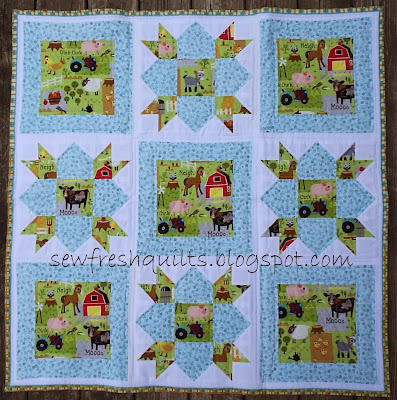 Welcome to the Sew Fresh Quilts pit stop on the Giving Thanks - Quilters' Blog Hop Party! Giving Thanks is the theme for this Giveaway. I think it is certainly appropriate that the first person I give thanks to would be Michelle! Thank YOU, Michelle from the Quilter's Gallery for organizing this event! all the other bloggers hosting great prizes! Today I am also Giving Thanks for all my regular followers. I sure do appreciate each one of you and I want to Thank You - for all you do! Your kind and caring comments cheer me on, cheer me up, and inspire me. For those of you who are visiting for the very first time - I want to Thank You too. For stopping in today! I am sew glad you're here! 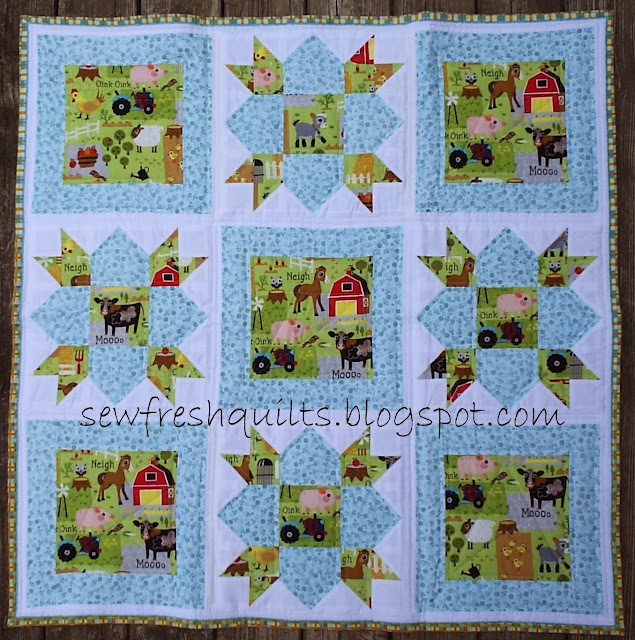 Let me give you a brief tour of the Sew Fresh Quilts blog. That's me up on the right, smiling proudly with my two fun loving kids! Feel free to follow me on Bloglovin', Google or by Email! Links for those are on the side bar. Pick a spool! You can also find me on Facebook, Pinterest and Twitter! Beneath my blog header there are tabs for all my pages. This is where you can get to know a little About Me. 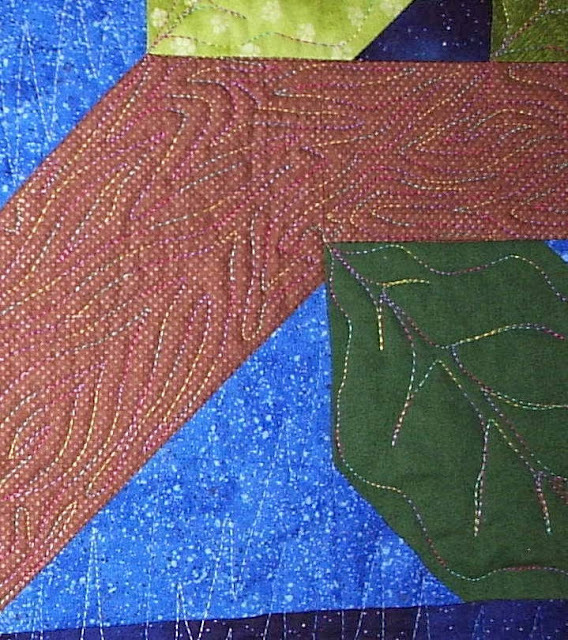 And My Quilts page will take you to my gallery of patterns & quilts. And just what is this Awesome Prize? This awesome prize features a Fat Eighth Bundle of the lovely Sunnyside line by Kate Spain. That's a total of 40 fabulous prints! And if that wasn't enough, I'm throwing in a pack of two Frixion erasable marking pens! Great for marking quilting lines, the pen marks disappear with the heat of your iron. 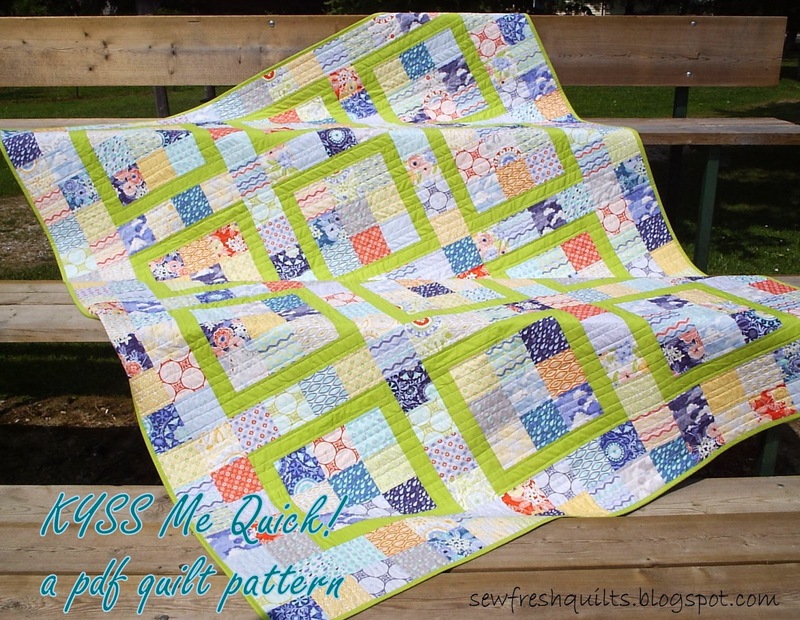 The winner will also receive a pdf copy of my KYSS Me Quick quilt pattern! Winner will be randomly chosen on November 27th and notified by email. Did you know this is my first ever Giveaway post? I have had so much fun getting ready for this! You can be sure it won't be the last! Hope you like my little quilting blog and will become a regular around these parts! I mean even back when I was a wee tot, colouring in the old colouring book, I always seemed to have trouble choosing the right combination of Crayolas to make the page turn out as I had pictured it in my mind. I quite often feel this way. Still. Now when it comes to the art of quilting, it isn't just all about colour. Learning about how different fabrics work together can take time. Print, contrast, saturation, hue, neutrals, and low volume are all terms commonly used to describe different fabrics and quilting styles. I have been doing my homework, researching these terms and viewing all the beautiful and creative works out there in blogland. 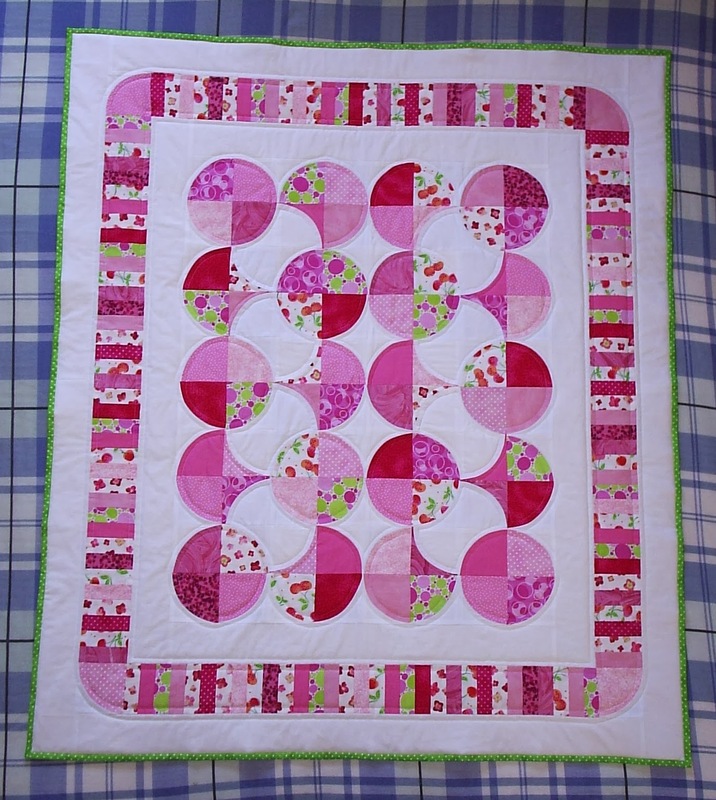 One of my early quilts was made using the Oink A Doodle Moo fabric line by Jenn Ski for Moda. Those oinks and moos must have come in two by twos because I am still using that fabric today! Anyhow..... I found another cute print in a neutral background and thought this would go great with the Oink. I showed it to my son, Russell, and he hit the nail on the head with his response, when he said, "There's just too much going on." I remember that I was actually quite shocked at the time. I thought both of these fabrics would work well together. They both were farm themed. One had bright colours and the other had a nice neutral background. This second block shows the same block on a plain white background. It is soothing. Your eye can rest. It allows you to see the symmetry in the block. And it calms your urge to run away after seeing the first block! That was lesson number one for me. Too much going on in a block, for me, is like too much clutter in a room. Clutter makes me feel panicky. When faced with a room that is over crowded with stuff, I tend to turn around in a circle, perhaps seeking a place of calm or a place to rest my eye and get a chance to think what to do first. But always my instinct is to get away! Here is how the quilt turned out in the end. A quilt that is calming in design and balanced in choice of prints. Even the colours, with the cool green and blue tones, exude a tranquil feeling. Awww! That's better! Linking up with Jessica's Sewing With Certainty Series at Quilty Habit. Why don't you come on along and join me there? See what others have to say about choosing fabrics! You never know what you may learn! Well, as it turns out, I had twins! I recently posted about some leftover Oink A Doodle Moo (by Jenn Ski for Moda) that I was playing around with and created a baby quilt top. I still had some large scraps on the design wall. So more playtime ensued! For this second baby boy quilt, I used the partial seam (tutorial here) method to make the blocks. I was so pleased that a pattern using this method is now in the works! and both turned out to be around 41" square. I used a flannel for the matching backings. in the negative space for the improv pieced quilt. Binding is this fun plaid called Mischief Happy Plaid in Aqua by Nancy Halvorsen for Benartex. Did you hear that Craftsy is having a flash sale this Friday & Saturday? The sale only lasts 48 hours and products will sell out fast, so head over to Craftsy today and check some items off your crafting and quilting wish lists!